A translation and commentary of the Daodejing and its timeless Wuwei teaching. The Daodejing, also referred to as the "Laozi," was given that name over 2000 years ago in the area of the world now known as China. It has been important to and influential for governments, religions, philosophers, hermits, alchemists, military commanders, merchants and strategists of all kinds. What the book is really about, and its true intent, are questions that scholars, academics and commentators argue about to this day. The original text is now thought to have had multiple authors. Over the centuries, it has also accumulated additional chapters and layers of interpretation. 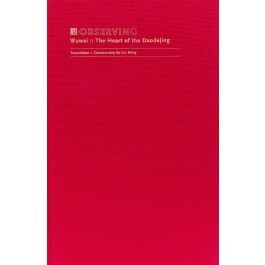 This translation and commentary view the text from an Orthodox Daoist perspective. Liu Ming, the author, was schooled in the Tianshidao Daoist lineage, and studied and taught from the text for over 30 years. He brought to it, not only a long-standing academic interest, but also a perspective based on lifelong practice. He believed that intellectual study and Daoist practice can complement one another to develop a deeper understanding, and offer the student/practitioner the opportunity to return to their original nature.